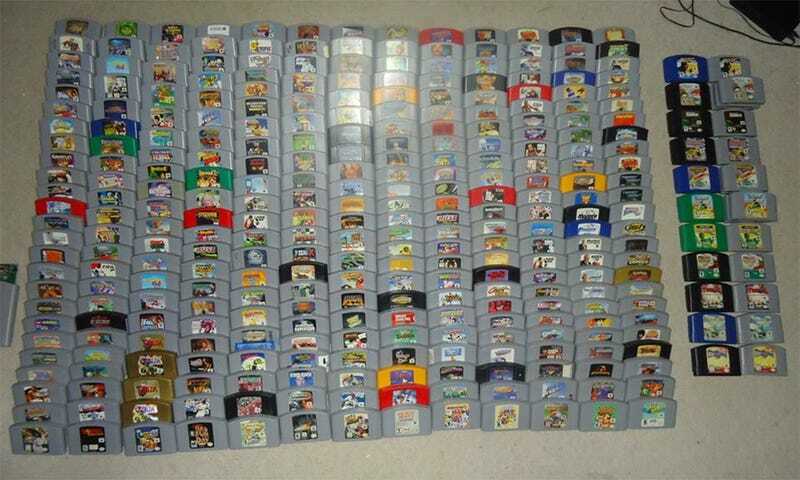 Redditor OhioStateBuck has collected every Nintendo 64 cartridge released in North America. Doesn't seem like much, does it? Blame it on those cartridges. Nintendo's choice of game delivery device wasn't the only reason the Nintendo 64 wound up with such a comparatively small library, but those expensive cartridges sure didn't help. While competitor Sony's original PlayStation wound up with more than 1,000 games pressed onto relatively cheap CDs, the entire North American Nintendo 64 library consists of 296 games. All 296 are in the OhioStateBuck's collection, as well as variant builds (there was no patching via the internet back then) and color variants. It's a lovely tribute to the final days of the game cartridge. I own four Nintendo 64 consoles, but only three games. I have some catching up to do.